Ez a kép elérhető vektorgrafikus (SVG) változatokban is. Ha jobb minőségű, válassz közülük e helyett a raszterkép helyett. Permission to use and/or modify this image is granted provided you acknowledge me lewing@isc.tamu.edu and The GIMP if someone asks. This is a cropped version of sit3-shine.7.gif converted to PNG with original transparent background. 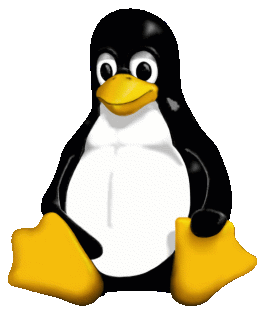 See also Image:Tux bg.png with white background.